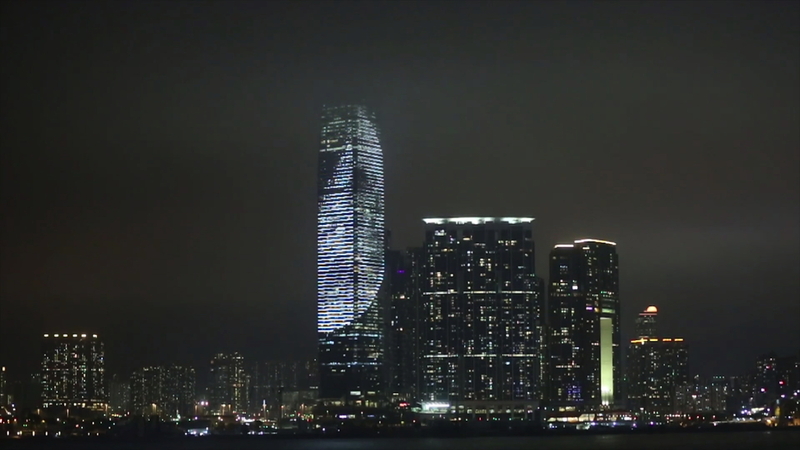 iMAP PhD student Clea T. Waite recently presented “Big Moon Hong Kong,” a new site-specific video featured on the ICC Tower, which is the tallest building in Hong Kong and boasts the largest LED screen in the world. Clea’s project is part of the prestigious International Symposium on Electronic Art (ISEA) 2016. The building’s facade is comprised of 77,000 square meters of LED’s, making Clea’s video - of the moon rise - quite spectacular. Clea’s summer will be spent in Greenland, where she is conducting arts-based research on ice and its relationship to time, with funding from the Art, Design and SEM Frontier Collaborations, through the National Academies Keck Futures Initiative.